The lease expired. 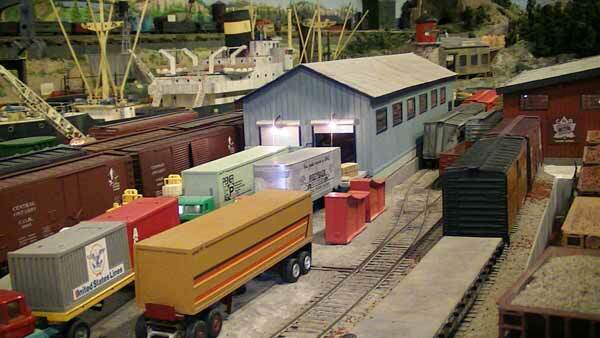 75 years of o-scale model railroading history was about to end. The club has to be out of its long time premises by April 1, 2013 or face a rent bill of $18,000/month! Not going to happen. 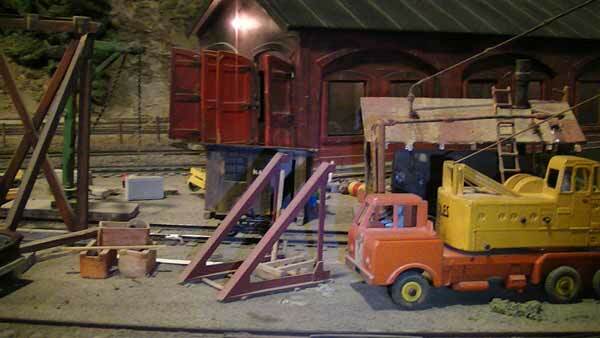 The last runs were in February and then the chain saws moved in to dismantle the layout. 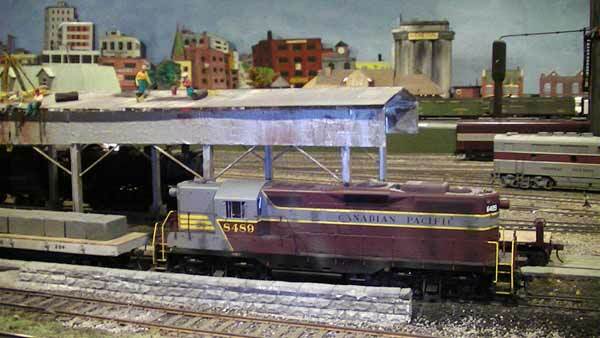 First, a little bit of history about the Toronto Model Railroad Club. It was founded in 1938 by Harry Ebert and Borden Lilley and began it's life in Harry's basement. Then it moved to Union Station until eviction in 1946 due to expansion of the railway's operation. The then home on Hanna Avenue (now East Liberty Street) began in 1946. A change of street name heralded Toronto's downtown rejuvenation project and the building housing the Model Railroad Club of Toronto will be rebuilt as --you guessed it -- condos. The club's home is only its third which is amazing in itself. Most clubs never last that long. 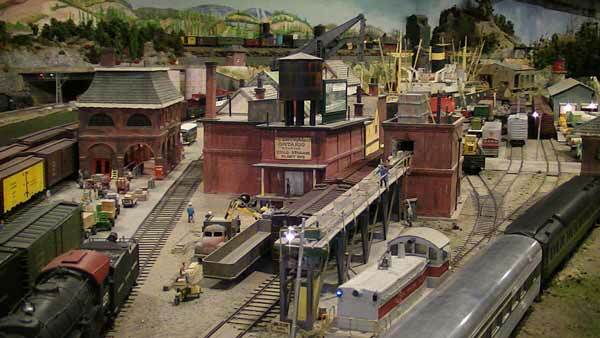 During its eight decades the layout has undergone several major rebuilds and updating of its infrastructure and electronics. The club's 7,000 square foot home was in the basement of a former munitions factory that built machine guns during World War II. The layout occupied two side-by-side shooting ranges that are 20 feet wide and 120 feet long. 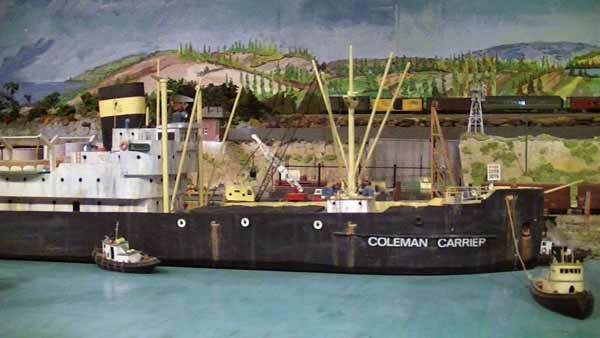 The layout itself measured 32 feet wide by 110 ten feet long. There was also a dispatcher's office with a CTC control board at the far end and a crew's kitchen and lounge at the front end. The mainline was 1,600 feet long. 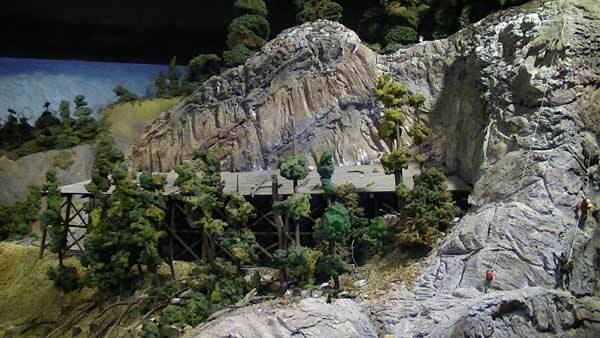 There were 6,000 feet of o-scale track (98% handlaid and individually spiked per tie 2-rail), 300+ turnouts, 90+ online industries, 90 locomotives, 70 passenger cars and 800 freight cars. All rolling stock and engines are individually owned by the members. The club is a non-share, non-profit organization directed and managed by its members. I understand the average number of members is about 20. I believe they had 22 at the time of "abandonment". The club finances itself through members' dues and money raised through donations at public shows. 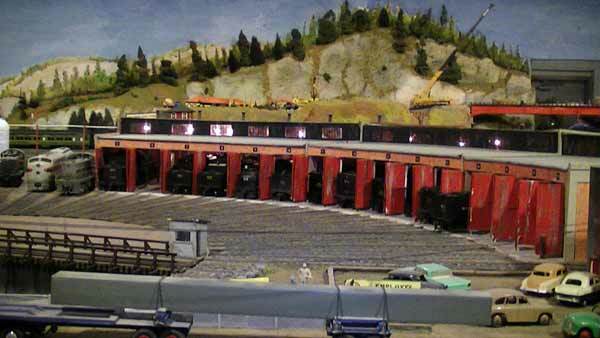 The layout has benches and a railing around it to permit chidren to have a good view of the trains. This was my first time back after a number of years (December, 2012). 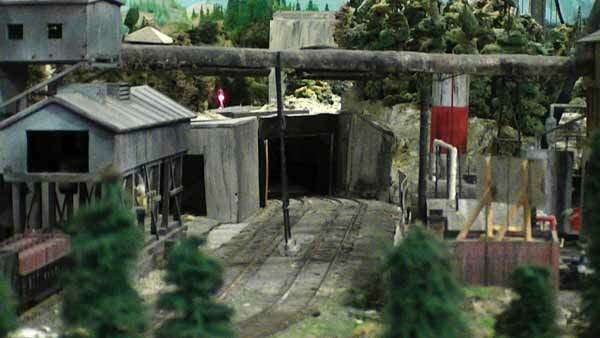 The layout was practically complete although there were several substantial projects underway. They were put on hold while the club searched for new premises. 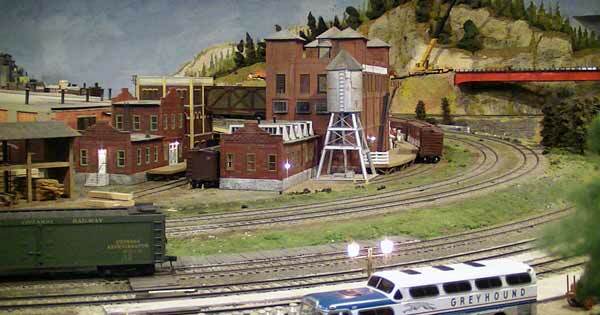 They have now found a new home and are rebuilding and updating the layout. The railroad is called the Central Ontario Railway after a railway that operated in Eastern Ontario during the 1870s. 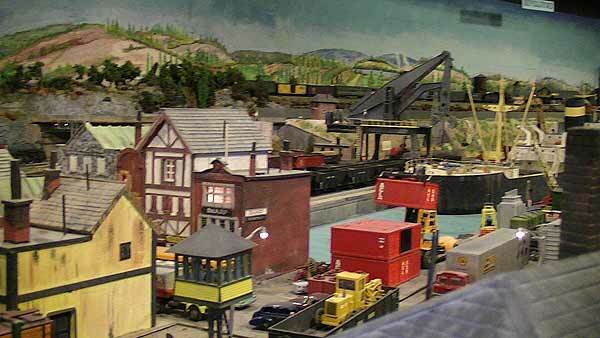 The layout's era is set in the late 1950s permitting the use of steam engines and first generation diesels. Buildings, cars, signs and people reflect the period modelled. 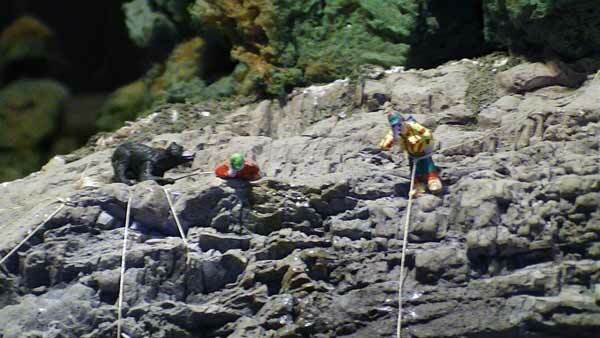 The most modern equipment of the time would have been rudimentary piggyback service. Interchange and trackage rights provide connections to the Canadian National Railway (CNR) and Canadian Pacific Railway (CPR). (Canadians usually say railway, not railroad). 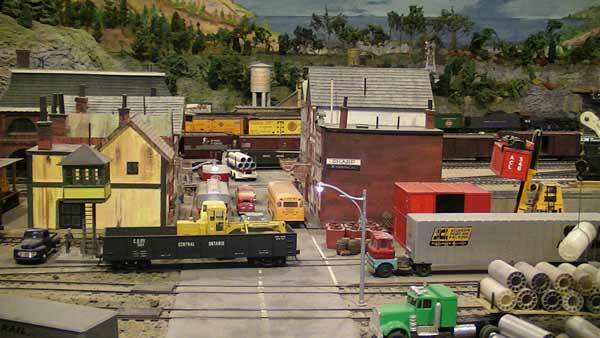 At some time the third rail, common to earlier o-scale layouts, was removed and the electrical system was converted to 2-rail. There have been major upgrades to the electronics in recent years. The CTC board could still control blocks and signals, but the club is moving towards more computer control. 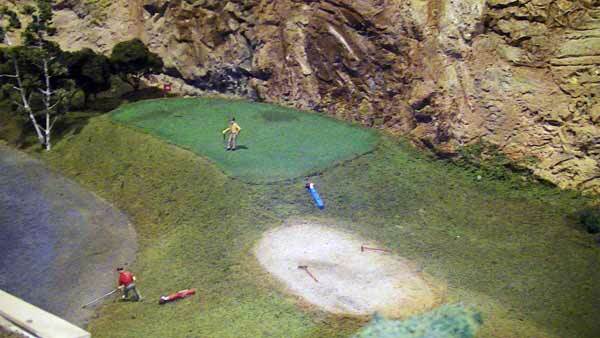 This will likely happen when the club rebuilds. Trains are operated with wireless radio throttles. Yards are controlled locally. Timetable scheduled passenger trains run on a fast clock while all freights are run as extras using waybill generated operations to pick up and deliver cars. There are 4 throttles for passenger trains and 7 assigned for freight operations on the mainline. 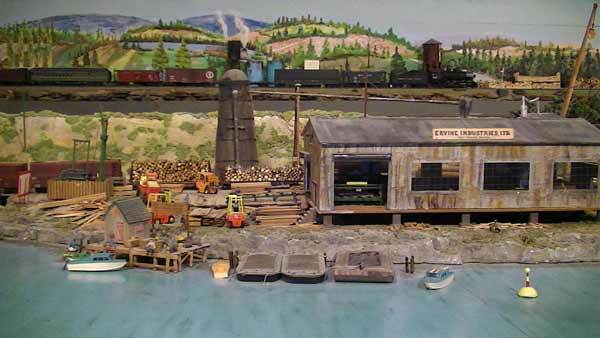 There are various locally controlled engine facilities and a port operation. Enough with the description. These photos will give you a better idea of the layout. Click on the thumbnails for a larger view. 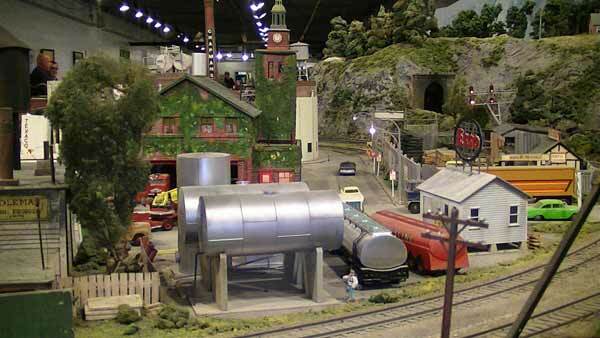 I took some video of the model railroad club while i was there. The Canadian Broadcasting Corporation (CBC) was doing some filming to prepare a segment about the club prior to their public show at the end of December. I had to stay out of the crew's way so I was a little restricted. 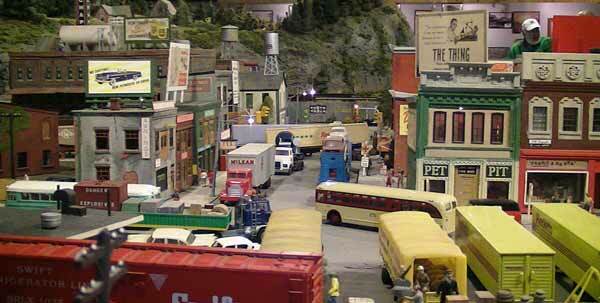 However, I did capture the essence of the Model Railway Club of Toronto. Have a look. "Things are going well. The layout is now down and parts we want to keep are stacked up waiting for transport. All of the scrap lumber and scenery was hauled away last weekend. Scheduled to have the transport trucks arrive weekend of April 6/7. 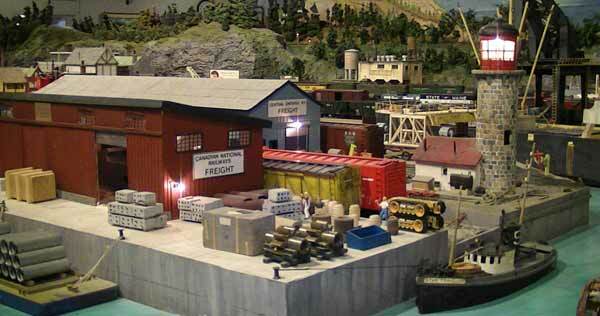 Its amazing how big everything is in O scale when you actually have to box up structures and the like. 1000 pcs of rolling stock took up many many boxes too. Also, if you want to see some neat videos... here is a link to my Youtube channel. I made a few track level videos with camera on av train travelling around the Hanna layout before it was gone. 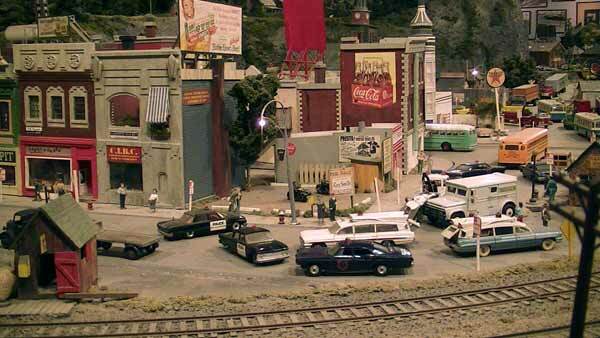 There is one that was shot during the very last show and it was one of the last trains to traverse the RR. Copy and paste this into your browser: https://www.youtube.com/user/needmorejava. We also have a Facebook site with tons of pics too." It is now 2016 and I am looking forward to their next open house to see what they have accomplished. Go to the train videos page. 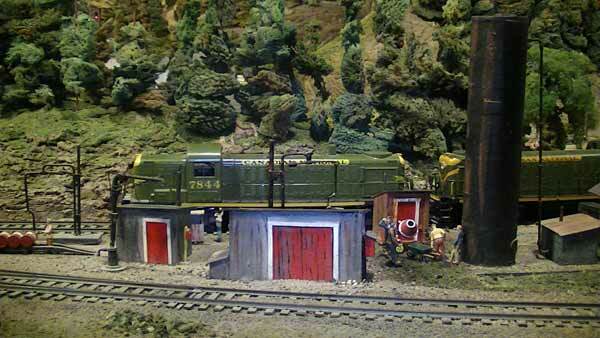 Go from "model-railroad-club" to the Train Photos overview. 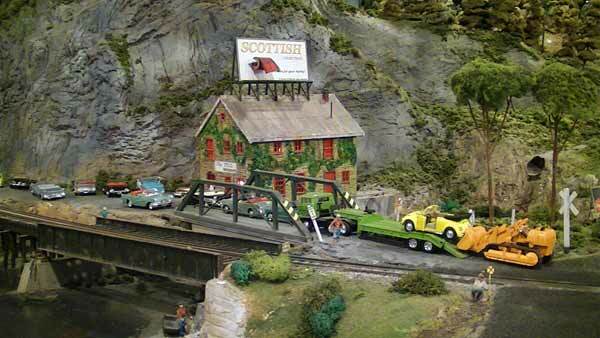 Go from "model-railroad-club" to my Home Page.